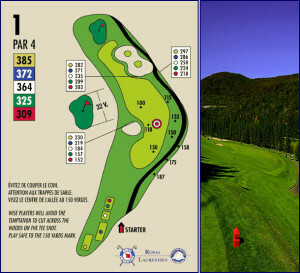 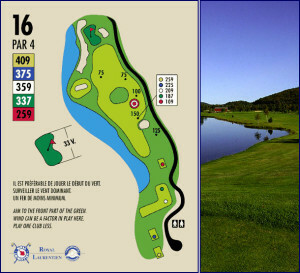 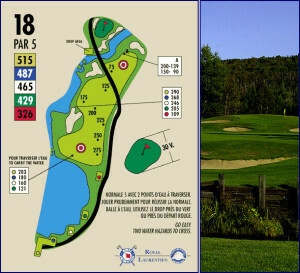 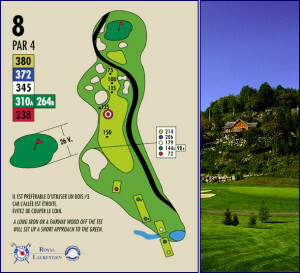 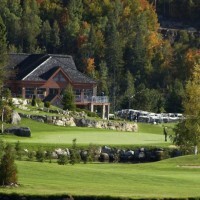 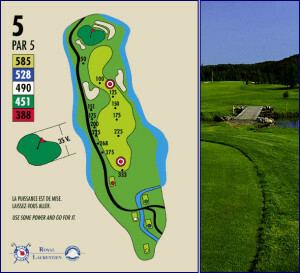 Named amongst the Top 100 in Canada and top 20 golf courses in Quebec by the prestigious Canada’s Golf Ranking Magazine, in 1996, The Royal Laurentien is a spectacular championship golf course opened to the public near Tremblant, where every fairway has been carefully shaped and integrated in its natural environment. 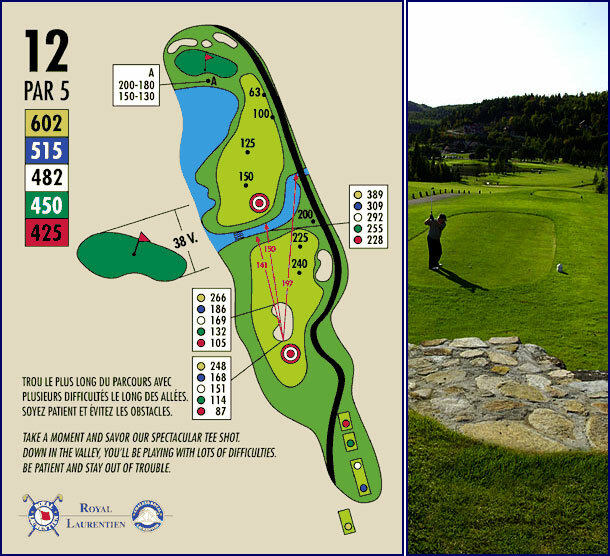 Boasting over 6856 yards, the Royal Laurentien course has six teeing greens offering golfers an opportunity for a new “challenge” with every new round of golf they play at the Royal Laurentien. Water holes are present in over 15 holes and more than 95 sand traps are there to challenge your skills. 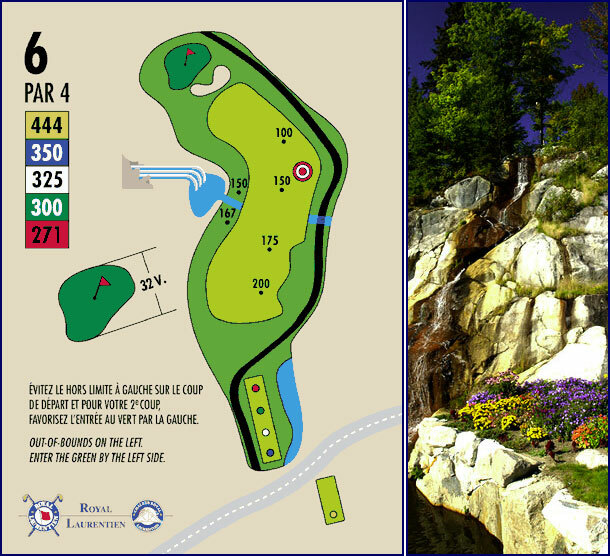 The 12th hole, with its par 5 over 600 yards and 2 water holes to cross, will leave a lasting impression. There’s no doubt, this is golf at its best! The golfer who will remain on the fairway will definitely be at an advantage over his colleagues, since one of the difficulties of this course is the long grass, commonly called “the rough”. 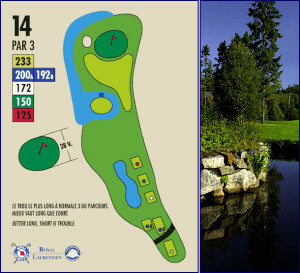 The greens are well protected and maintained with diligent care to meet the highest expectations of all types of golfers. 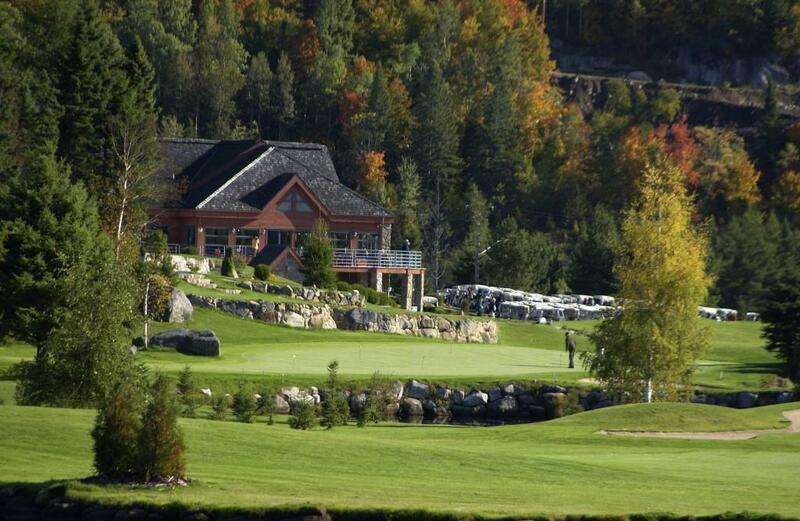 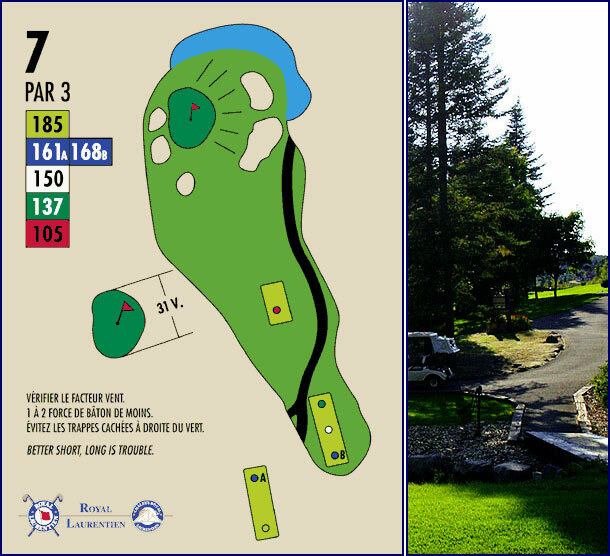 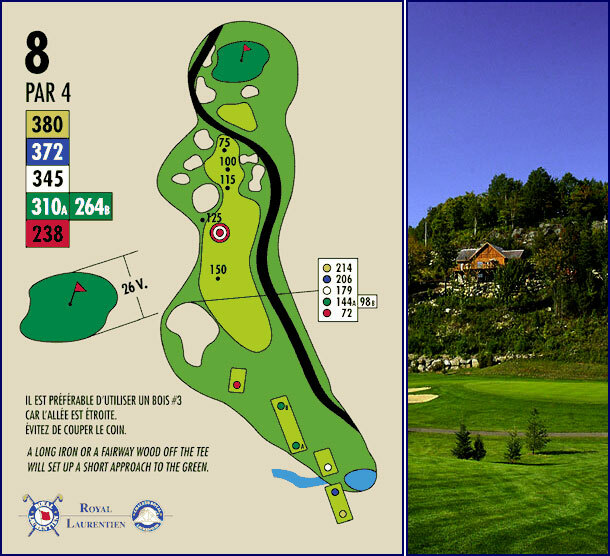 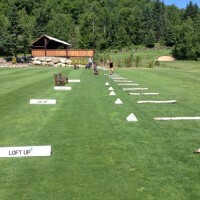 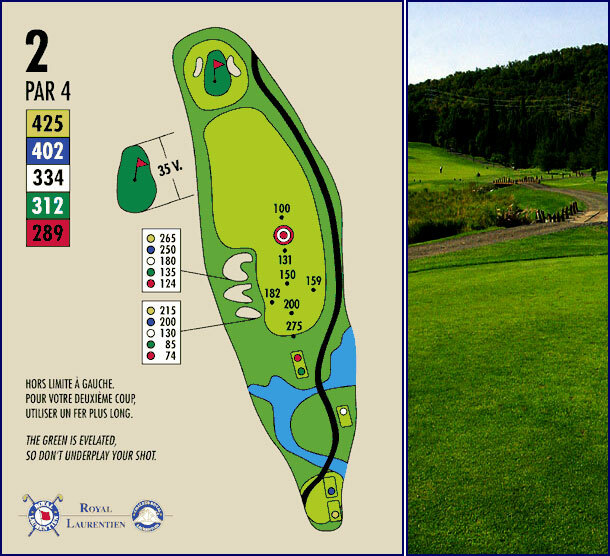 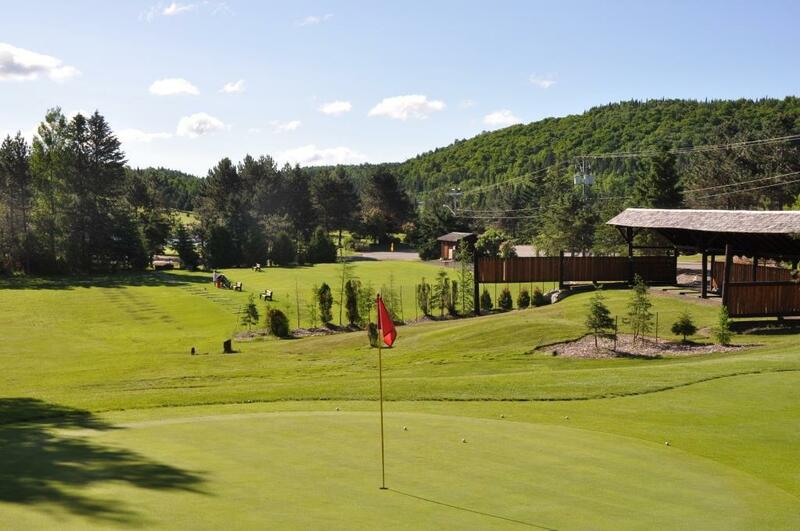 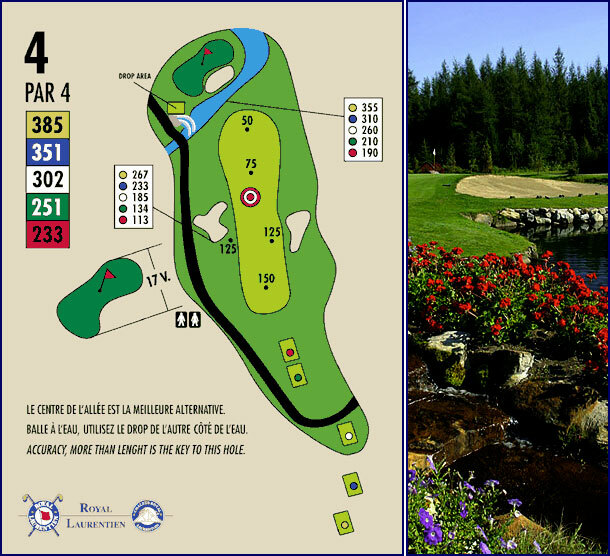 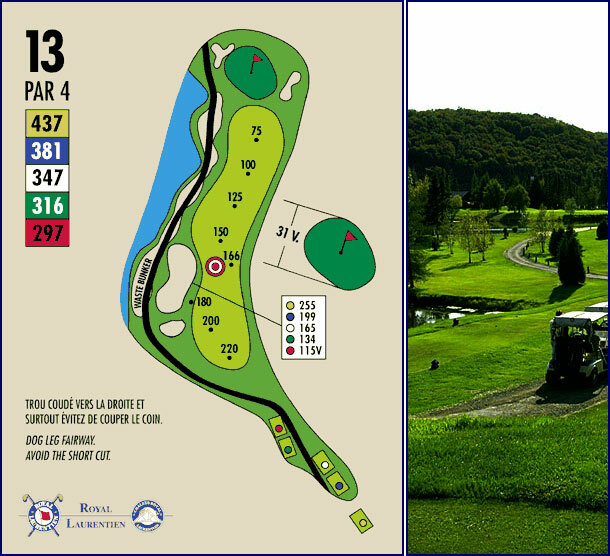 The Royal Laurentien near the Mont-Tremblant area has one of the most beautiful and complete practice areas a golf course can offer! 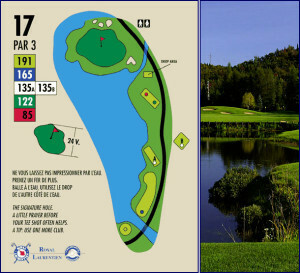 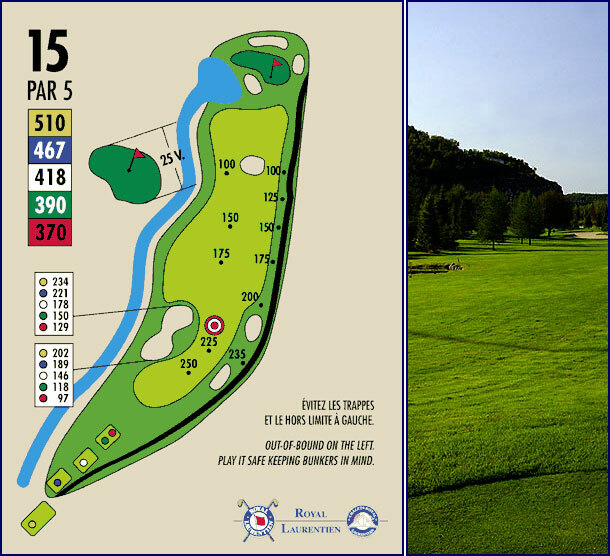 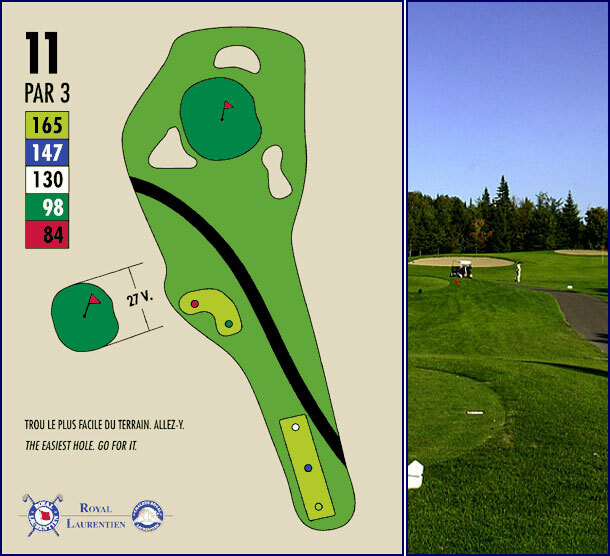 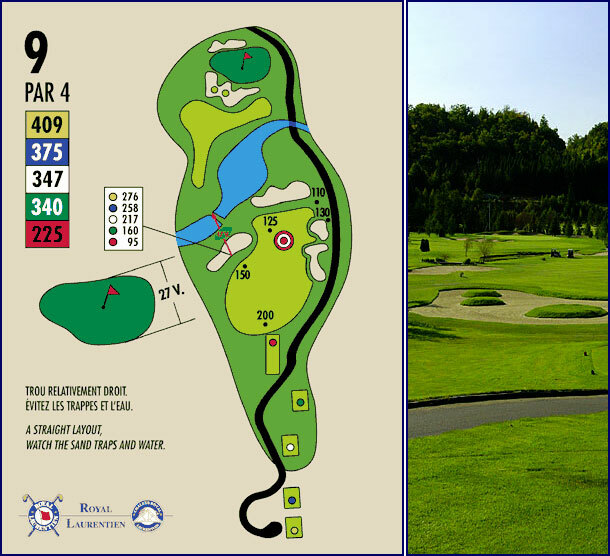 Do not try to cut through the “dog legs”, especially at holes 1 – 8 – 13. 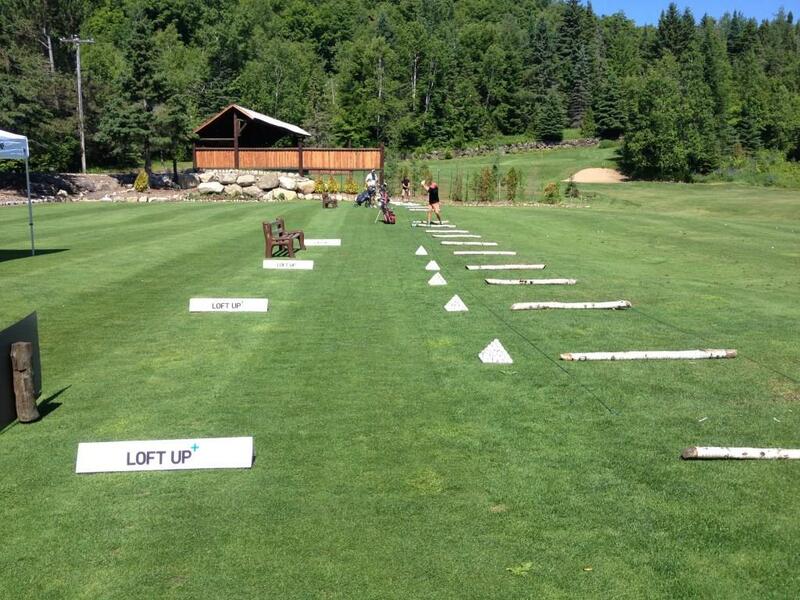 Aim for the center of the fairway. 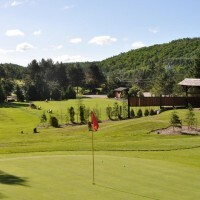 150 yards: small orange cedars or orange and white stakes. Indicate the travel distance to reach the center of the greens. 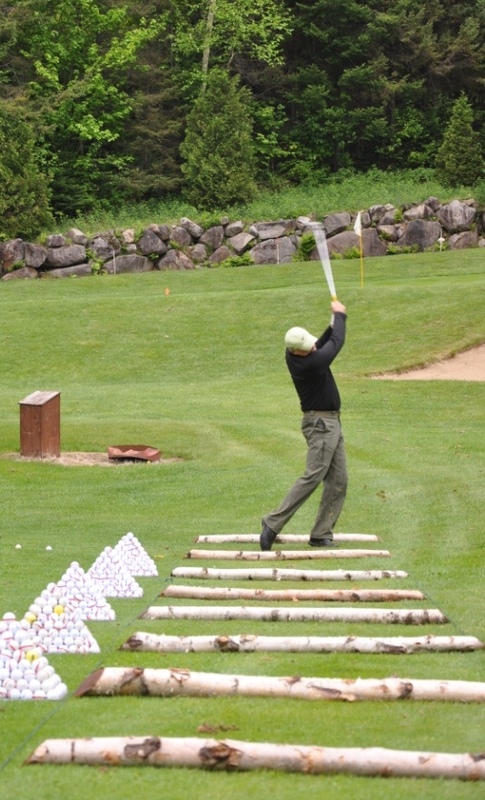 Colored stakes (blue, pink, green and yellow) indicate the legal limit for driving with carts. 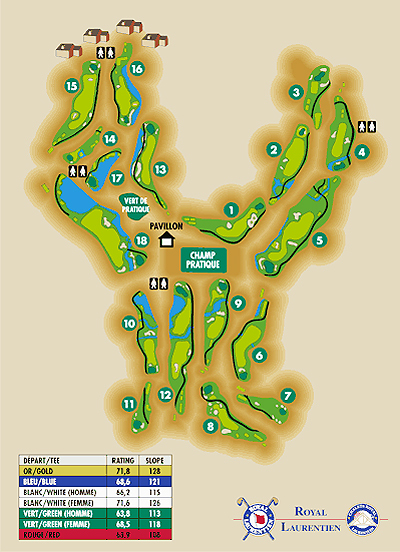 You must then return to the path. 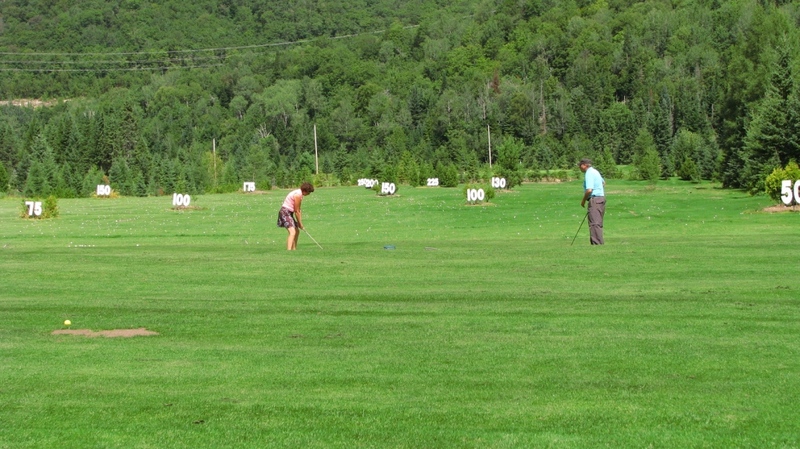 The carts must remain on the road. 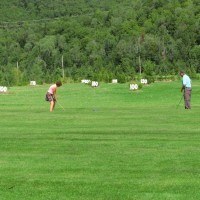 The 90 degree rule applies at all times. 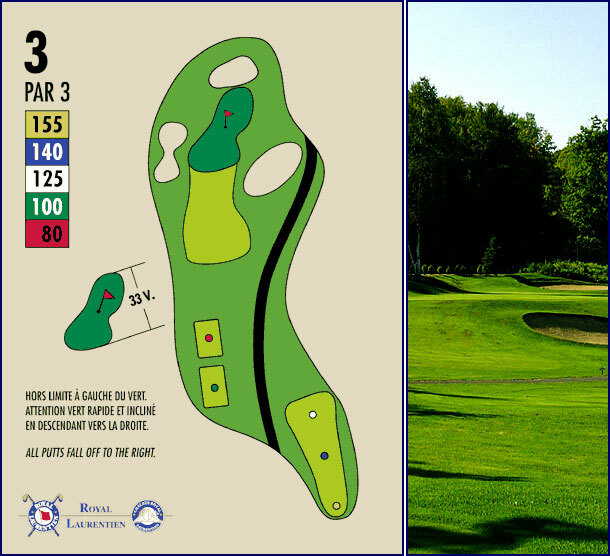 Pick up your divots, repair ball marks and please pay attention to your spikes on the greens. 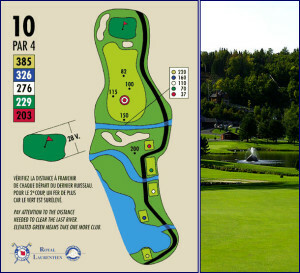 A maximum of 4 hours is allocated for an 18-hole round. Maximum of 8 strokes per hole. A maximum of 2 minutes is allocated for the search. 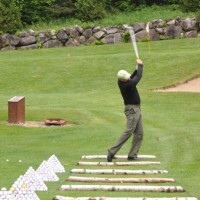 Thank you … Good game!